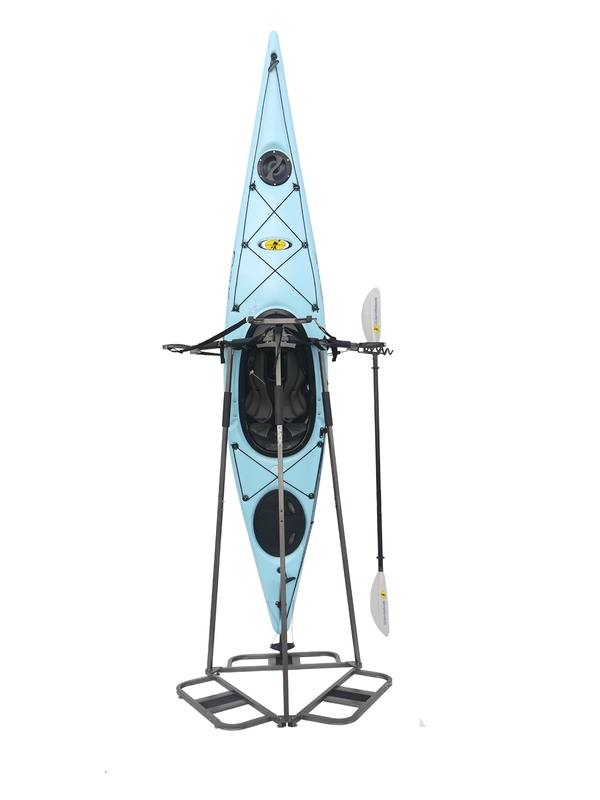 Glacik G-750-PH4 Vertical Space Saving Rack for Kayak and SUP Storage has a 250-pound maximum weight capacity and is a convenient and versatile storage solution for any model of Kayak and SUP. This adjustable vertical rack can store up to 3 Kayaks, or to 6 SUP depending on product placement, size, and accessories attached. The rack also includes holders for up to 4 paddles to keep all of your boating gear off the floor. 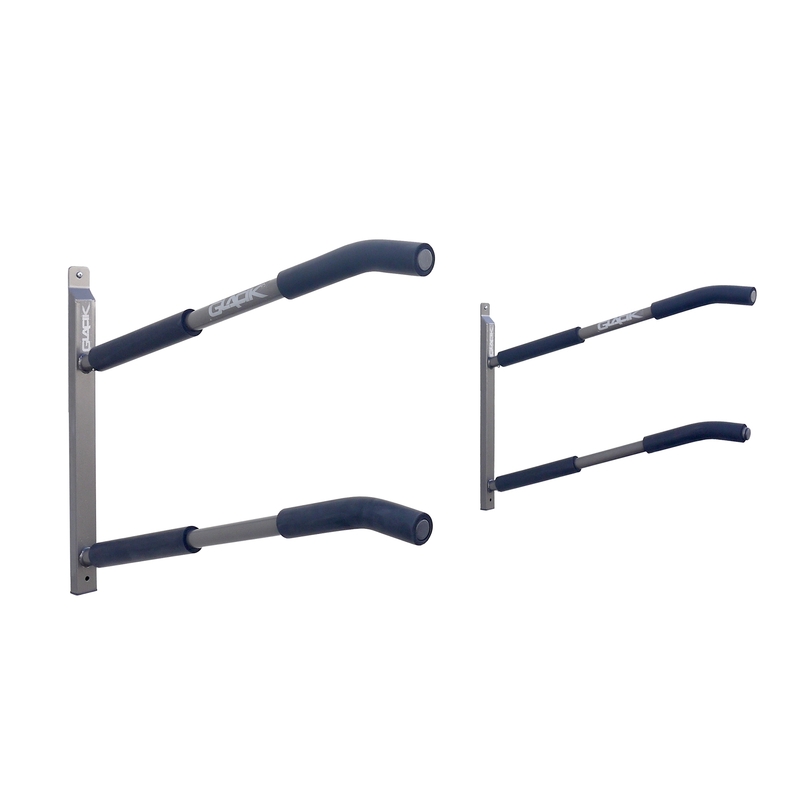 A central safety strap keeps all products secure in the center, while an additional safety strap connects to the outer parameter of the rack for additional security. 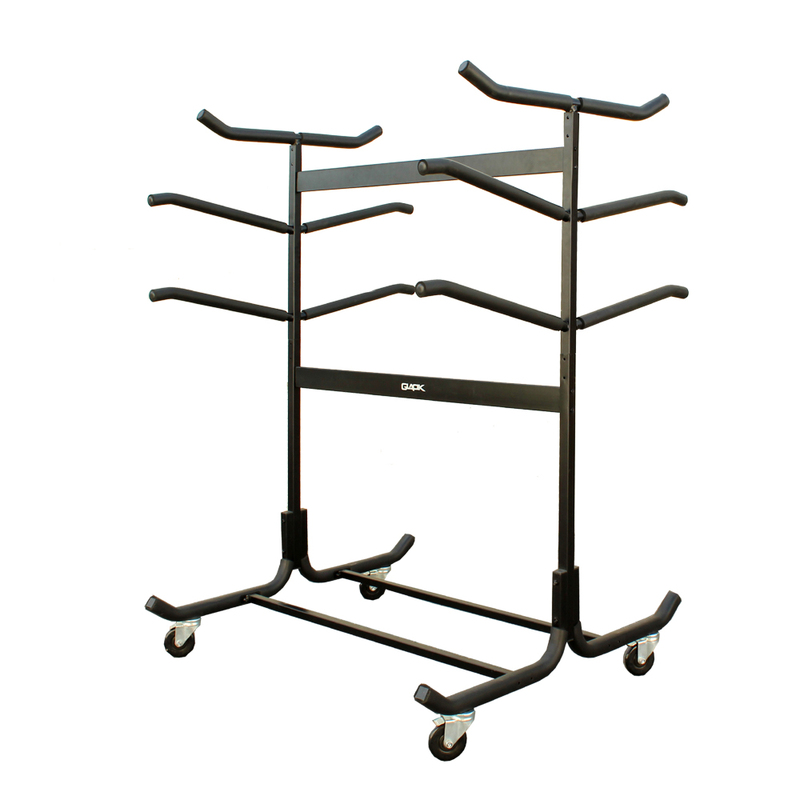 The Glacik rack is sturdy, easily assembled, and includes a 1 Year Limited Manufacturer’s Warranty. Sparehand Systems is dedicated to innovation and simplicity and specializes in high-quality lifestyle and sports products. © 2019 SpareHand Systems. All Rights Reserved.